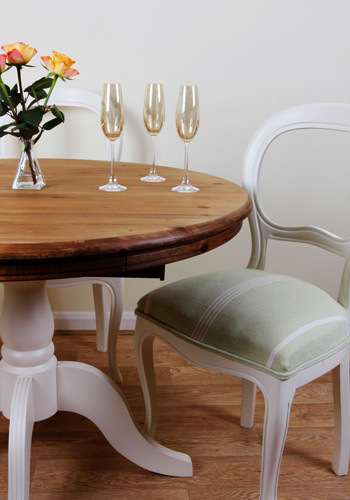 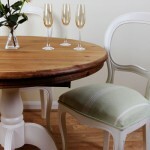 Six elegant ballon back, spring sprung, solid wood chairs and extendable pine table. 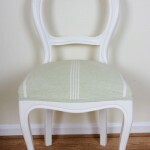 Upholstered in Suzie Watson ‘Green Oxford Stripe’ and finished with double piping detailing. 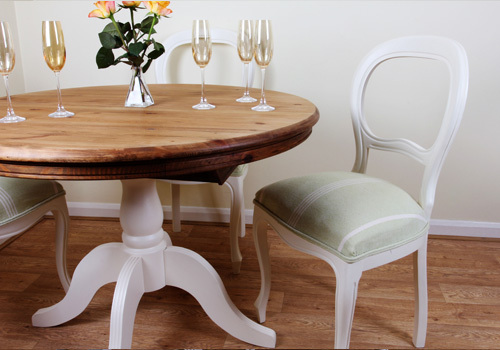 Painted in Farrow and Ball’s Tallow, creating a fresh and relaxed look. 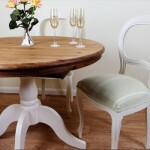 Solid pine table with matching painted pedestal. 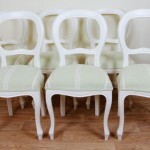 Extends to comfortably sit up to 8 people. 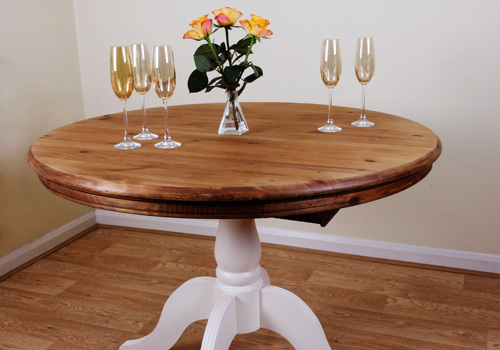 Table top finished with a rustic pine wax to enhance the wood. 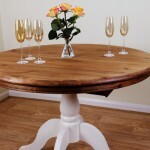 115cm in diameter unextended and 75cm high. 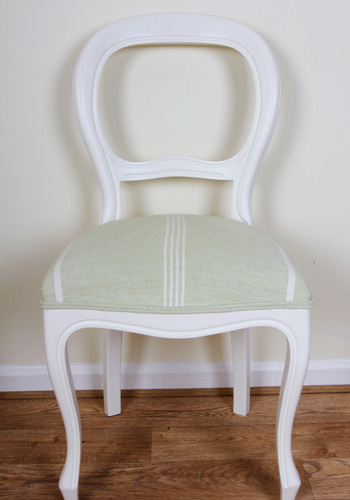 145cm long when extended and 118cm wide. 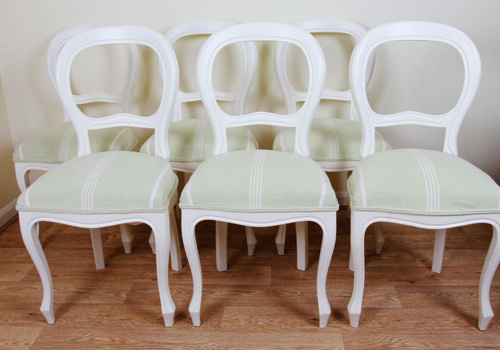 Chairs seats are 45cm wide and 40cm deep.